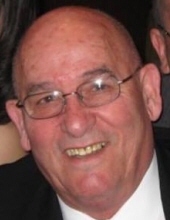 Arthur Paul Zodikoff of the Town of New Windsor, unexpectedly passed away at home on March 31, 2018 in the presence of his family. Arthur attended and graduated from Newburgh Free Academy. He was drafted into the United States Marine Corp, where he became a Corporal and served his country proudly during the Korean War. When he returned home he attended Ithaca College where he graduated with his Bachelors Degree. Arthur taught at Newburgh Free Academy for 36 years, where he was a mentor to many students throughout his teaching career. He also enjoyed coaching boys tennis, officiating local high school and parochial basketball games, and umpiring USSSA softball games in the area. He was also an avid sports card collector. Zodikoff and his wife Rosalie; Harold Zodikoff and his wife Deborah; and Sister-in-law Barbara Zodikoff, and he was predeceased by his brother Morton Zodikoff. He was a loving uncle to several nieces, nephews, great nieces and nephews. Arthur was laid to rest at Maplewood Cemetery in Hunter, NY on April 3, 2018. To send flowers or a remembrance gift to the family of Arthur P. Zodikoff, please visit our Tribute Store. "Email Address" would like to share the life celebration of Arthur P. Zodikoff. Click on the "link" to go to share a favorite memory or leave a condolence message for the family.